Electricity comes to the Bhutanese village of Shingkhey in 2001. 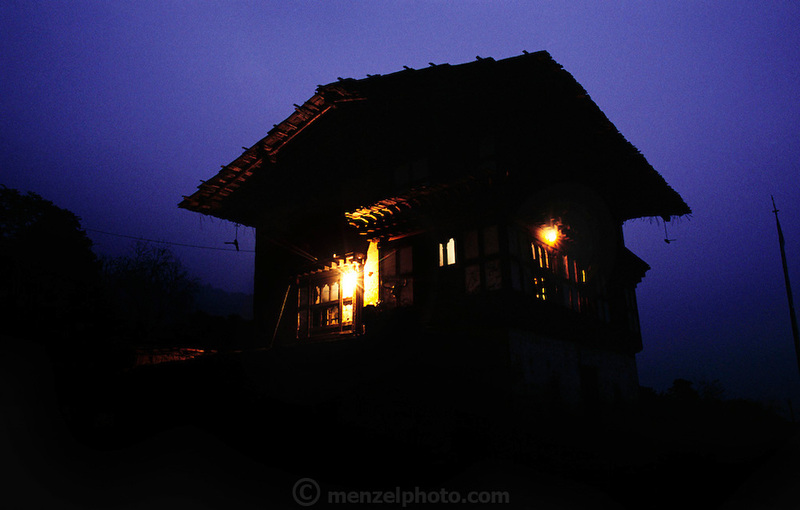 The view of Namgay and Nalim's house lit with electricity for the first time, Shingkhey, Bhutan. Now, even the cows have a nightlight.